Meet Celeste, a real Mermaid from Florida. I loved doing this interview! Her passion and reason for wearing her tail are inspiring. I hope you enjoy reading her story as much as I did. I was born in New Orleans, Louisiana, and have moved to several states before growing up in Cincinnati, Ohio. I moved to Orlando, Florida roughly nine years ago. What do you enjoy filling your day with? When I’m not on mermaid business, I’m either working at my day jobs, spending the day looking for adventure, or sunbathing outside with my cat. I love being outside, even if it means just exercising on my back patio or enjoying the local theme parks. At night, I practice various types of fire performing with LED versions of poi, levitation wand, and staff. And yes, on occasion, I do work with real fire. When I was very little, I hated water and was terrified of swimming. But I did have an undying love for dolphins at the time. At the ripe young age of five, I decided that I wanted to swim with dolphins and maybe one day grow up to be a dolphin trainer at Seaworld. My parents convinced me that the only way to be a marine biologist was to be comfortable in the water, so I slowly began loving water. I dreamed of learning to surf and scuba, or being a lifeguard. Any excuse to be in the water. As I grew up, I started becoming more and more involved in swimming-related activities. I joined a swim team at age nine through high school, lifeguarded for several years throughout college and afterwards, and even played water polo for my university’s club team. I was nowhere near the “best of the team”, but once I discovered that I had a better-than-average skill in swimming, I never really gave up on improving my skills in the water. I finally decided to start pursuing free diving as a hobby when I played Final Fantasy X for the first time, right after I moved to Florida. I was in a rough living situation at the time, and completely forgot about how much I loved swimming until I played the game and truly connected with the characters and their surroundings. I wanted to swim underwater endlessly, just like the main character- and feel completely at peace with the world. Why do you love Mermaid so much? The great thing about Mermaiding is that it combines the greatest parts of cosplaying and swimming – two of my favorite hobbies. I get to pretend to be something that doesn’t normally exist, while putting my strong swimming and breath holding skills to use to make a more believable experience for onlookers. There have been a number of times where I would show up at my favorite freshwater spring to go swimming, and I would swim several feet underwater around the scuba dive groups and under the snorkel groups, and just watch people’s reactions. Another reason why I love Mermaiding is because I get to watch children’s imagination run wild. I get to be that mythical creature that their parents have only read about to them in storybooks. And I stand to prove to little girls that they don’t have to be ultra-feminine to be a mermaid. My Mersona is a Warrior, to signify my strength and ongoing battle against mental illness. I can show that Mermaids are not only graceful, but can be powerful and strong. My first fabric tail was made by my best friend back in 2009 for an anime swimsuit cosplay contest in Boise, Idaho. It was a bit of a running joke for the both of us, because my friend knew how much I enjoyed swimming but hated being associated with The Little Mermaid (because of my real name). It was a pink holographic spandex tail, kinda thrown together to make it look like Kairi from Kingdom Hearts– if she ever made it to the Atlantica level. The tail was a HUGE hit in the contest, and I thoroughly enjoyed swimming in it. In fact, I ended up wearing it out within about a year or so, and my friend had to end up remaking my tail to stand up to the wear. I swam in the updated version of that tail until I decided to go professional and got my first silicone tail by Mermaid Creations in 2013. What I currently own: my updated original fabric tail, a FinFun Blue Tang fabric tail, a full silicone tail by Mermaid Creations, and a full silicone tail (with a complex paint job, Finis Competitor Monofin, and extra fins) by MerNation. I am also currently in the process of making my first neoprene/sequin tail, modeled after the Palette Surgeonfish. People can learn to not take themselves so seriously all the time, to release their inner child and to use their imagination often. During the events that I have worked in the past, I have had many adolescents to adults telling me, “Oh! I want to do that!” to which I would respond, “What’s keeping you from pursuing your dreams?” Everyone looks good in a tail, and nowadays, tails are MUCH easier to find and afford. I think a lot of people would be much happier if they too could pursue their dreams of being Merfolk. At the same time, I also use Mermaiding as a way of discussing important environmental issues to every age demographic. My main goal is to keep fracking out of Florida, and keep our springs and aquifers clean. Every year, I visit Tallahassee state senate office and lend out a photo of myself in the springs to my local state representative to help explain the importance of keeping our ecosystem clean. It’s not just about me or Mermaiding in general, it’s about our preserving our future. I have been to a handful of Mermaid conventions and gatherings, starting with my first Mermaid convention, Merpalooza back in 2013. In that same year, I went to my first Mermaid gathering at Alexander Springs, and the whole experience was AMAZING. I loved swimming in that spring so much, that it became my primary photoshoot location. Since then, I have taken other new “Mers” under my fins and showed them how awesome it was to swim in the springs and watched them develop a passion for Mermaiding as well. Since my first Mermaid convention, I have also attended both years of NC Mermania where I met my boyfriend, Merman Joseph. It came as a complete surprise to me that I attended the convention with only the express purpose of meeting the rest of the community and getting good press coverage- and left with the Merman of my dreams. I would say my favorite part of attending all of the conventions and the meetups was meeting everyone in the community that I normally only see online. The first night is rather odd, because most people can’t recognize the other mers if they aren’t wearing their signature tails, but once the swim portion comes up- everyone suddenly knows each other. 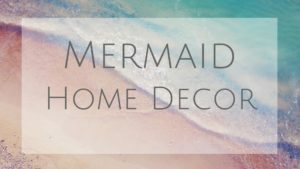 I would also highly recommend Mermaid Nerine’s work for tops and accessories. She made my current Lions Paw shell top and my trident necklace, I am in the process of saving up to get a weight belt from her later in the year. 1. Do your homework. When it comes to buying/making tails, talk to other Mers who have been down that route before to see if your decision will be a good one. Look at the online forums available on www.mernetwork.com, and look up as much advice as you could possibly ever need. Ask questions when the answers aren’t there. 2. When it comes to swimming in tails, make sure that you always have a spotter- even if you are a confident swimmer. Never buy a silicone tail as your first tail, simply start off with getting a monofin and train in that until you get comfortable enough for a fabric tail, and never dive deeper than you can handle. In order to get better at anything, you have to train often and try new things! This goes for learning to hold your breath longer, too. 3. Let your tail and accessories become an extension of yourself physically and a projection of your personality. Not every girl wants to be a sparkly mermaid princess, but not every guy wants to be a warrior shark merman either. Your tail design should reflect how you want to express yourself as a mer, not just what others may think about you. And even if you are a tail-less mer, then you can still express yourself in your dress and your actions. Everyone has their own way of being a Merperson, and there is no “right” or “wrong” way to do so. If anyone has any questions on Mermaiding, or getting better at swimming, feel free to reach out to me! 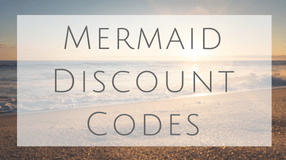 To check out other Mermaid interviews CLICK HERE.